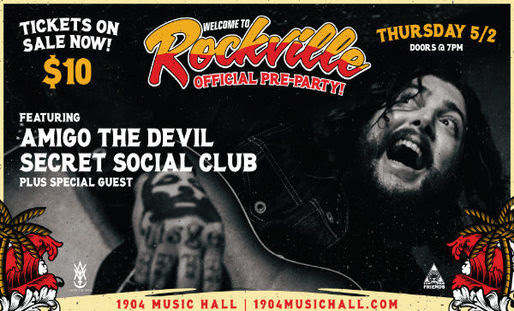 Welcome To Rockville Presents The Official Pre-Party featuring Amigo The Devil, Secret Social Club, and a special guest will kick off the weekend on Thursday, May 2 at 1904 Music Hall in Jacksonville. Doors open at 7:00 PM, and the first 100 Welcome To Rockville single day ticket or weekend wristband holders will get in free. For those needing to purchase tickets, general admission is only $10 and tickets are available at 1904musichall.com. 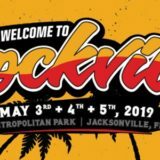 Band performance times for Welcome To Rockville 2019 are now available and can be found here.